Liam Neeson is back. Does he ever go away? Thankfully not as he seems to be the forlorn action figure we’ve grown to love. Throw him into the snow against deadly wolves and deadlier companions (Ottway in The Grey) or the evil of the empire (as Qui-Gon Jinn in Star Wars Phantom Menace) or as the dark force both training and hunting Batman ( raz agool in the Nolan trilogy) and there is something haunting about his presence. He’s versatile too scoring the role of both good cop/bad cop in 2014’s The Lego Movie . Always at the forefront of my mind is the anguish he must feel from the dreadful accident that claimed the life of his wife back in 2009. There is something so poignant about that real life pain that allows us to believe almost any situation he finds himself in. Both broken yet unbreakable, he is a wonderful Irish version of the cowboys of the Wild West. He’s the Dirty Harry for our generation. The John MacLean of now. And John Maclean would be his closest comparison in the this tense action thriller flying at full speed at 40,000 feet. 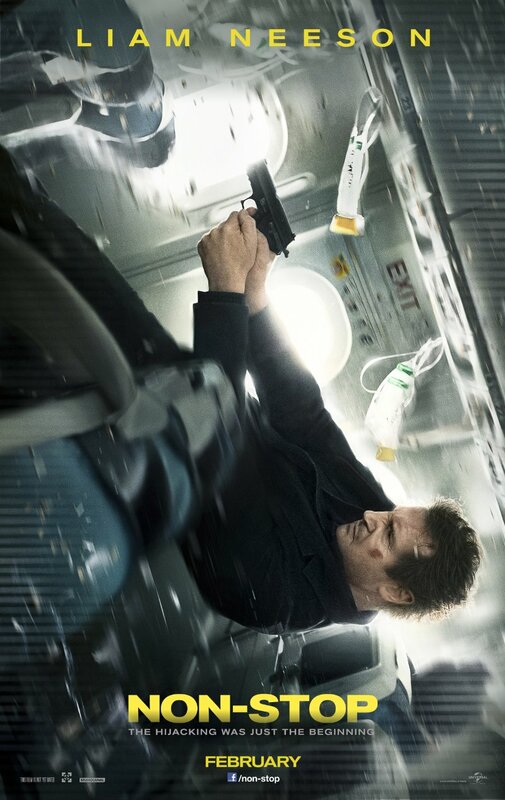 An alcoholic air marshal whose motives are called into question at the outset of the film, Neeson has his days work cut out for him when he starts receiving text messages on his secure network cell phone informing him that unless 150 million dollars is deposited in an account then a passenger will die every 20 minutes. This is a classic Hitchcock film for the modern age. An Agatha Christie for the 21st Century. Who can he trust – who can WE trust? Excellent performances from Corey Stoll – Peter Russo from House of Cards , Julianne Moore, along with Lupita Nyong’o (Patsy from 12 Years a Slave) and Michelle Dockery (Lady Mary Crawley from Downton Abbey) make this a non stop mystery that keeps building and building to its explosive payoff.